Contrary to the title, E.C. 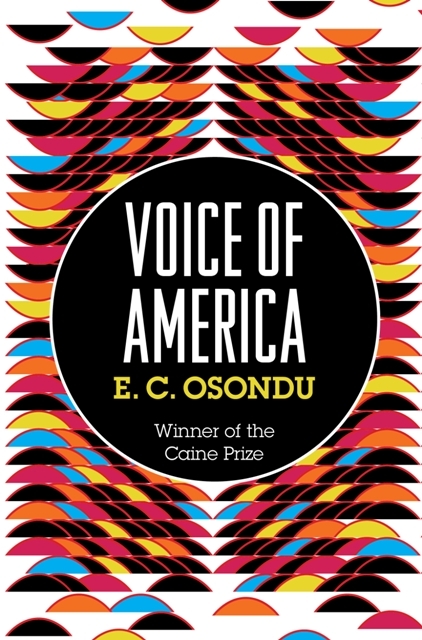 Osondu is not serving as the Voice of America and certainly not the spokesman for Nigeria, with his eclectic collection of short stories, chronicling the lives of Africans at home and in the diaspora. From his Caine Prize winning story; Waiting to A Letter from Home and Janjaweed Wife, we delve into a world, where survival and the hope for a new beginning, rings true for the characters. In Waiting, we are confronted with the pain of living in a refugee camp through Orlando, as a result of conflict. Orlando’s voice is inviting, you want to know him and hear his story. Beyond his desire to share his story, you soon realise the traumatic effects war has on displaced and disposed children who find themselves in refugee camps, hoping against all odds for the miracle of a new life. A Letter from Home on the other hand is the tale of a lamenting Nigerian mother, who is calling on her son, based in the US not to put her to shame. Reminding him of his promises and responsibility to send her money because other children are doing the same for their mothers, why should her case be different? While Janjaweed Wife, set in a Darfur refugee camp, reveals the ills of child molestation as the narrator relieves the crimes committed against her and her sister by a man who claims who want to help their mother. Osondu’s stories are full of warmth, humour and imagery, that evokes our need/longing to belong. It is also about survival in a foreign land and his exploration of our continuous fascination as Africans, especially from the Nigerian perspective with the west and the belief that the streets are paved with gold. Osondu’s recognition of the feminine and children’s voices in this collection is to be applauded. For it is through them that we feel the anguish and hope conveyed in his words, as delivered through his characters. Certainly, a magnetic voice to watch out for. This review was published in the New African Magazine, August-September, 2011. This entry was posted on Monday, October 3rd, 2011 at 11:45 pm	and is filed under Africa, Art and Culture, Book Reviews, Nigeria. You can follow any responses to this entry through the RSS 2.0 feed. You can leave a response, or trackback from your own site. I have read so much about this book in recent days. I am thinking of ticking it into my reading list and get a copy whenever I am at the bookshop. You did a good rundown of the collection. It is a good book. I am sure you will enjoy it. Thanks for your kind feedback.